Two former Burnley team mates from our first Premier League season were both in the news yesterday with one signing for a new club and the other leaving his club and maybe bringing an end to his playing career. The player on the way out is Chris Eagles at Ross County. Signed by Owen Coyle for a third time in November, Eagles made eight Scottish Premiership appearances but he’s only featured twice in 2018, once as a substitute and one occasion when he was withdrawn at half time. He hasn’t played since the end of January. Coyle left last month and yesterday, in a brief statement, Ross County reported that Eagles had left the club by mutual consent. “Chris has decided to leave the club to capitalise on new career opportunities,” the statement read as they wished him all the best in his future career. Given that he wouldn’t be able to play football for any other club until the summer, it looks likely that those opportunities could well be away from the game for the 32-year-old who leaves Dingwall at a time when they are fighting to stay in the league. 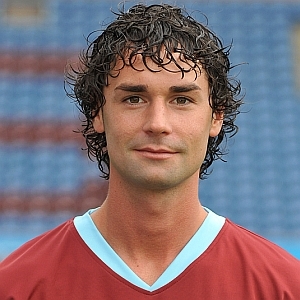 Eagles made a total of 120 league appearances for Burnley in three seasons from 2008 to 2011. 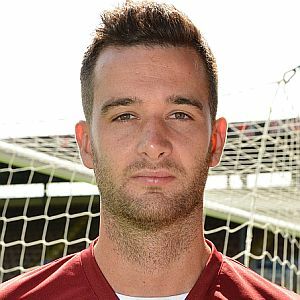 In all but the first of those seasons he was a team mate of David Edgar who arrived at Turf Moor from Newcastle following our Wembley promotion in 2009. The Canadian enjoyed five seasons with the Clarets in which he fell just one short of 100 league appearances before leaving for Birmingham following our second promotion to the Premier League in 2014. Loans at Huddersfield and Sheffield United followed before he returned home to Canada to play for Vancouver Whitecaps. His career came to a shuddering halt in late 2016 when his career was left in the balance after he was injured in a hit and run accident whilst on a golfing holiday in Arizona. He’s fought back to full fitness and last month, despite being without a club, he made a return to the national side, coming on as a substitute in their 1-0 win against New Zealand.